Set of 4 units to isolate 2 monitors. 5 tilt positions. 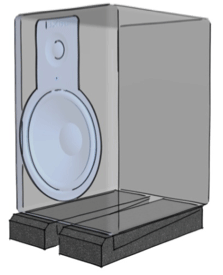 Recommended for speakers with woofer up to 6.5 ". 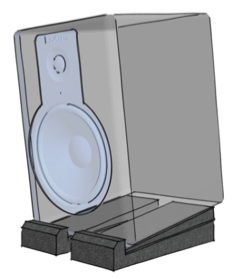 FÖTTER is a set of pieces (foot + wedge) that forms elastic isolation pads for speakers. They decouple the monitors from desks, tables or shelves to prevent sound distortion produced by surface resonance (comb filter effect). They are made of high-density acoustic foam, specially formulated to improve damping performance and load capacity. Sold in sets of 4 complete pads, they are designed to be used in pairs and can be spaced to fit different monitor sizes and better distribute weight. 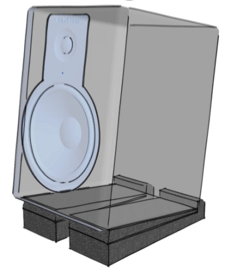 The combination of the foot + wedge pieces allows for up to 5 different degrees of inclination to adapt the vertical-tilt of the speakers in order to get the best alignment with the listening point. Their cost-effective design makes them ideal for home studio use, and they can be used in other devices where the vibrations produces resonance and effective decoupling is needed. 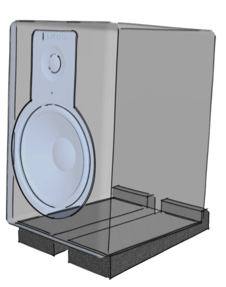 Fötter has been designed to improve the precision of studio monitors and Hi-fi / home cinema speakers by minimising the vibration transmission of these devices to the structures that support them. They are used to counteract the acoustic effect produced by the physical transfer of vibration from a rigid medium in direct contact with another rigid medium. 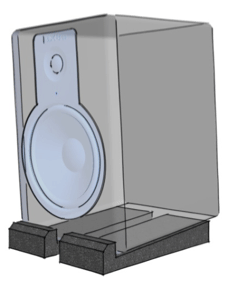 In monitors, this transfer occurs when the vibrations of the speaker enclosure are transmitted to the supporting structures, and is perceived as an artificial increase of content at medium and low frequency ('boost effect'). The result of this effect is that the engineer perceives a combination of the direct sound and the resonance of the structure. This alteration causes a frequency distorted image from the real content in the recording tape, and consequently, if the engineer takes mixing and equalization decisions based on listening to this altered image, the resulting mix will have a real lack of content at low and medium frequency, when this mix is played outside that environment. 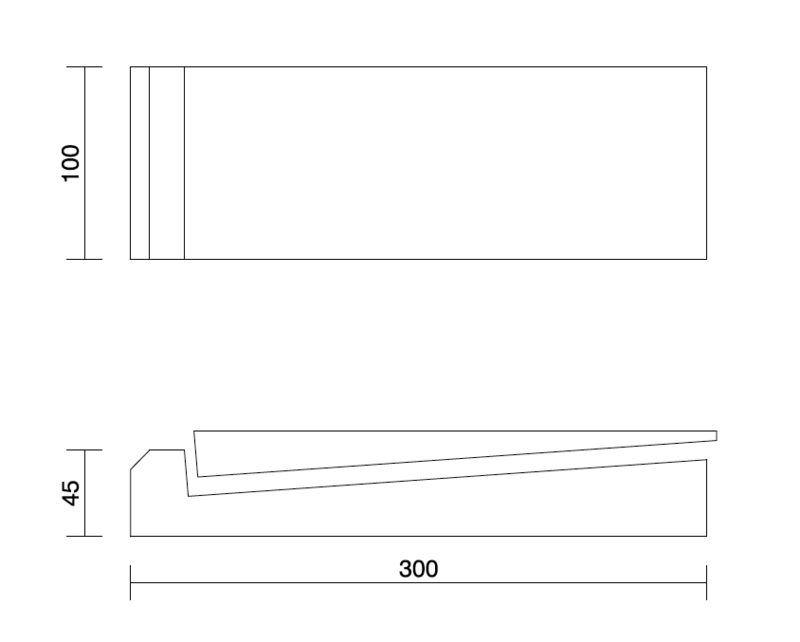 Pieces of: 100mm wide, 300mm long and 45mm high. Pack of: 4 complete pads, for isolating 2 speakers. * Due to the nature of the material, there may be minor variations in dimensions and finishes, but they do not affect the acoustic performance.